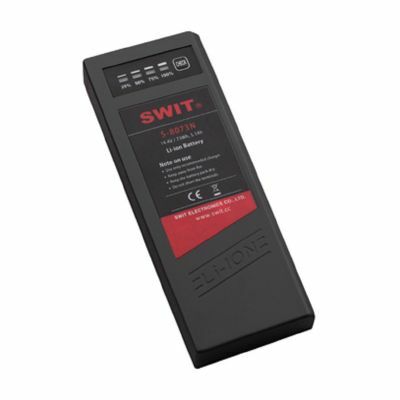 S-8076N is the NP-1 type rechargeable Li-ion battery pack for professional video cameras, as well as the audio mixers of NP-1 battery connection. Consists of 8pcs 18650 battery cells, and reach 73Wh / 5.1Ah high capacity, not restricted by IATA air transportation regulations. S-8073N has two D-tap DC output sockets, with max 50W, 3.5A output per socket. You can also charge S-8073N via the D-tap socket by SWIT portable single channel charger S-3010B.